Look like the superwoman that you are with just 3 easy steps! A crazy schedule at work, family and relationship concerns, and even depressing traffic can all lead to unnecessary stress—and worse, premature skin aging. These daily worries can all take a toll on your skin. And while there’s little you can do about the piles of stress, it’s a different story where maintaining your youthful glow is involved. Remember: you can’t control what life throws at you, but you always have a choice NOT to look like you’re stressed out. 1. Get some beauty sleep. If there’s one thing we learn to appreciate as we get older, it would have to be the importance of getting enough Zzzs. How we wish we could take back all those late nights in our twenties! By now, you should know that adequate sleep is beneficial for the mind, health, weight, and yes, the skin. Ladies, don’t make your 9 to 5 schedule get in the way of having at least 6 hours of sleep each night. Consider changing your daily routine if needed—it’s that crucial. 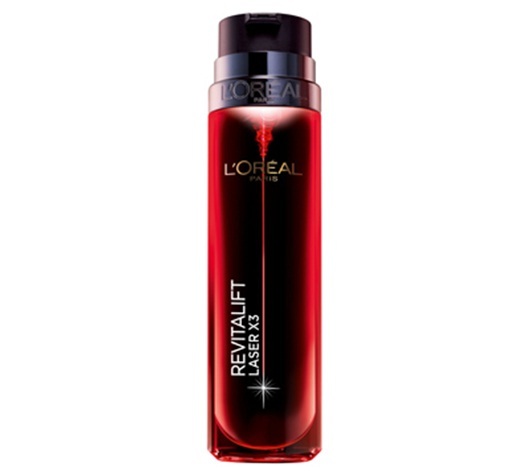 Make every hour of your deep slumber count with L’Oreal’s Revitalift Laser Night-Cream Mask. With its patented ingredient 3% pro-xylane, get triple action with this leave-on mask that will do the job of correcting lines, renewing skin, and minimizing pores-all while you’re dreaming. 2. Change your bad habits. Do you smoke? Do you squint often? Do you have a nasty habit of rubbing your eyes when you wake up in the morning? Make a conscious effort to put a stop to these bad habits. All these add to the formation of pesky lines around your pretty peepers. L’Oreal’s first instant anti-aging product, Magic Blur Eye Cream, will prevent, as well as take care of existing crow’s feet, puffy undereyes, or eye bags. It has Opti-blur technology mixed with caffeine, which together, instantly diminishes puffiness and aging of the eye area. A must-have for every woman who wants to look stress-free right away! 3. Use a hardworking moisturizer every day. The sun, pollution, and stress can cause premature aging, so before applying makeup, make sure to moisturize first. Everyone needs a moisturizer (yes, even those with oily skin!). Think of it as a layer of shield that will protect your skin from harmful elements and signs of aging. When looking for the perfect moisturizer, opt for one that can multi-task just as well as you do. As early as your 20s, you need to start thinking about preventing lines, brightening dark spots, and getting your daily sun protection. 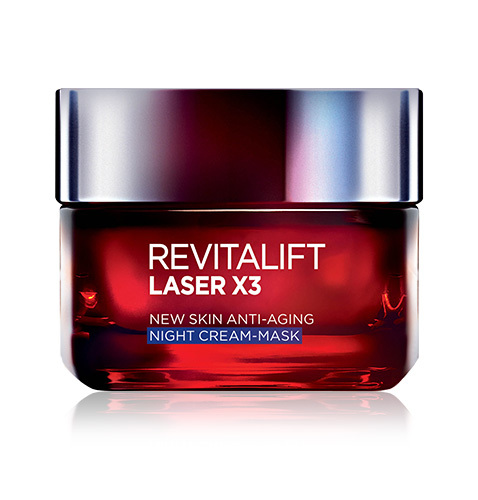 Revitalift Laser X3 Total Care, powered by L’Oreal’s patented ingredient 3% Pro-Xylane, will get the job done without the heavy, sticky feeling. But if you want a cream that can deal with your pores, sagging skin, and wrinkle problems, L'Oreal Revitalift Laser Anti-Aging Day Cream will cater to your needs while leaving skin supple and smooth. At the end of the day, always remember that great make up starts with great skin. Dull skin, fine lines, and other flaws can ruin your look, so make sure you invest in your skin health for a naturally, radiant glow. Hey, even a superwoman needs her reinforcements. Take the Revitalift 4-Week Challenge, and you just might win a staycation! Check out the details here. 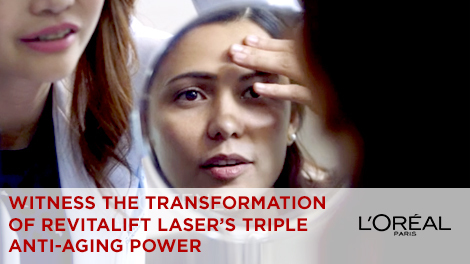 This article was created by Summit Storylabs in partnership with L'Oréal Paris.